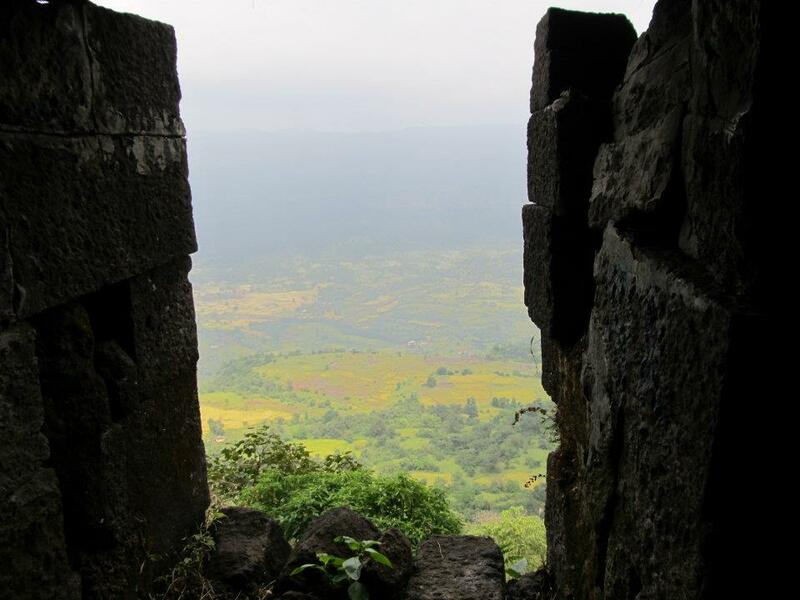 Kothligad or Peth is a small hill fort situated around 20 kilometers from Karjat. 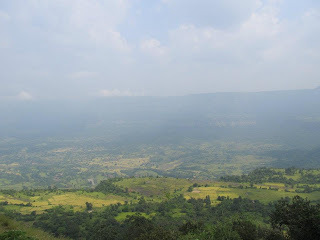 It offers an easy and exciting one day trek. 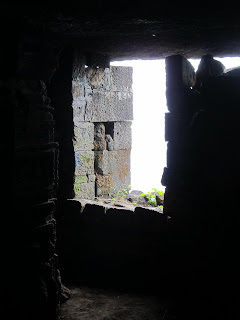 The fort has a temple and cave at the base which can accomodate around 15 people and beautifully carved steps on the inside of the mountain. This funnel shaped structure has a very small summit which has some fort remnants and a cistern. It offers a great view of the surrounding ranges. Height above mean sea level - 1550 feet. Time to reach the top - 2 and a half. Water/Food Availability - Water is available at the village of Peth or water cistern at the top. Sights to visit - Temple, rock cut steps inside a mountain, dwaar/darwaja, carved den. How to get there - Dadar --> Karjat --> Karjat to Ambivali by rickshaw or S. T. bus and then trek to Peth. A really nice trek for beginners, nice wide road to climb and no scope of getting lost. 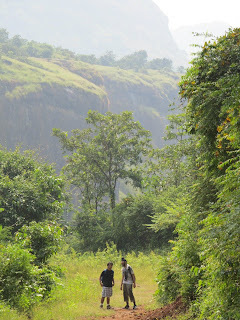 You start from Ambivali and then trek to the village of Peth via the wide rock covered road. From Peth the top is around half an hour away. You first reach a temple, where you can get water and there is a carved cave where you can even spend the night. The internally carved summit is a beauty. 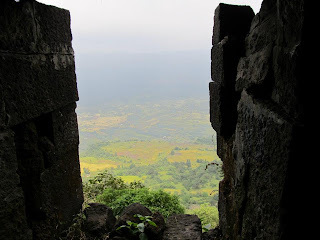 There are steps carved inside the mountain which climb radially and take you to the top. There is a cistern on the top and some awesome views. Look out for Bhimashankar towards north, Dhak Bahiri & Rajmachi towards south-west. Water is available at the village of Peth as well as the temple on top.